There was once a small church -dedicated to St. George -further north from today’s church, where the Metropolitan Diocese of Morfou now is. There was also a cemetery there. The church of St. George -as it is today -was built in 1886. It is of Gothic style. Initially, the church’s steeple was small and inartistic. The current one was constructed in 1922 -the opposite goes for the church of St. Marina where the steeple, being similar to the church’s style, was replaced by a completely odd one. The hagiographies in the church’s chancel are very recent (1980). 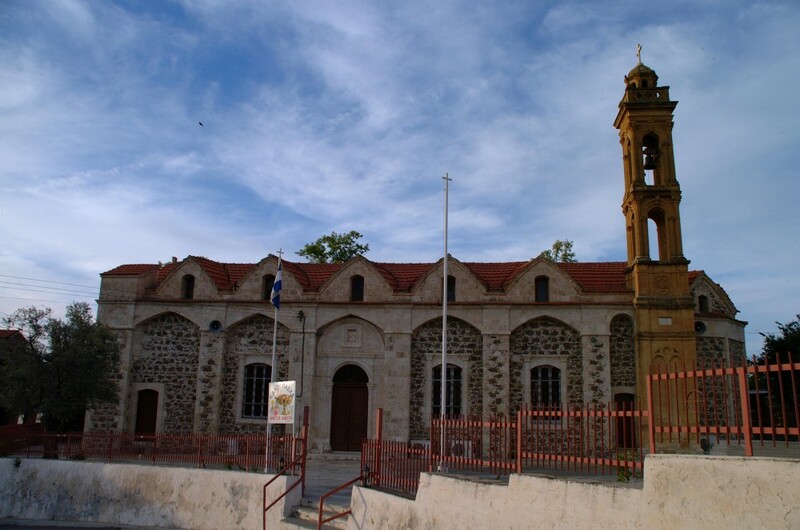 Since the establishment of the Holy See of Morfou in the village, after its dislodgement, the church of St. George is also the Metropolitan Church.